Ranked for many years by the directories as a specialist contentious trusts and estates practitioner working in the fields of contentious trusts and estates both on and offshore. Specialises in estates / trusts with a fraud element, in particular noted for undue influence claims and removing trustees / personal representatives for breach of trust. Chambers & Partners 2016. Rated Band 1 Junior for Trusts. Focuses his practice on contentious trust and estate disputes. He has been involved in several high-profile cases in recent years and has experience of acting in trials without a leader. 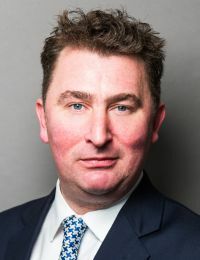 Frequently instructed on contentious trust and estate disputes, he has experience of acting at trial without a leader, and has been involved in a number of high-profile cases in recent years. Instructed by many major law firms, and praised by solicitors and peers alike for his ability as an advocate. He maintains a broad practice, handling all manner of contentious trusts and estate matters, and often appears unled in substantial cases against silks. Noted for his acclaimed advocacy and ability to lead on cases against experienced silks. He acts for trustees and beneficiaries in disputes involving the interplay of private international law, fiduciary matters and breach of trust allegations, and has specific strength in trustee and executor dismissal. “Concentrates on offshore matters concerning contentious trusts and estates. He is active in a range of key traditional offshore jurisdictions. Read Law at Sidney Sussex College Cambridge, Exhibitioner. He's excellent on points of law and is both authoritative and clever.